It’s back! 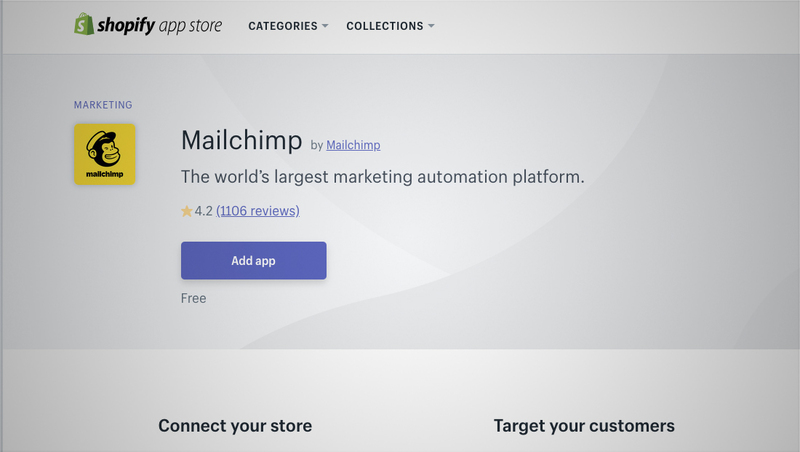 Mailchimp integration has returned to Shopify — but what happened and what’s the future of it? Update: Shopify and Mailchimp’s integration is officially being discontinued. After Shopify pulled the Mailchimp app for new users from the app store just days before Black Friday and Cyber Monday, the app did return just in time for BFCM. The app listing has been reactivated and was available for new installs as of Nov. 21, 2018, the day before Thanksgiving and just two days before Black Friday. However, the 11th hour reinstating of the integration still caused grumblings among Shopify and Mailchimp users since many store owners work on email marketing campaigns days or weeks in advance. Shopify had removed the app from the app store, reportedly in retaliation for Mailchimp announcing a deal with Square to offer shoppable landing pages. While Shopify was notably quiet about the matter — inquiries to the PR and support inbox all went unanswered, Mailchimp was more vocal about pointing the finger of blame to Shopify. Sources inside Shopify said that, after Shopify got wind of Mailchimp’s partnership with Square, this set off a tiff between the two companies. Additional inquiries to both companies about the future stability of the integration have also gone unanswered. Some merchants have expressed concern about the power Shopify holds over third party integrations — and its ability to discontinue them on a whim. Because of this, some merchants are considering alternatives, including more direct integration with email marketing providers (including Mailchimp).